Senators Edward Markey and Elizabeth Warren introduce pipeline safety legislation. 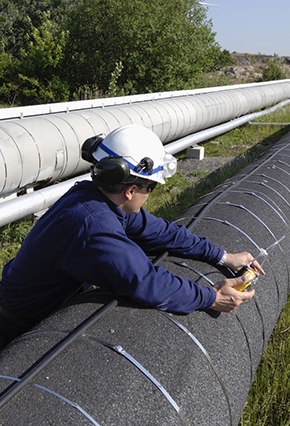 On April 9, Senators Edward Markey (D-MA) and Elizabeth Warren (D-MA) introduced S.1097 proposing a number of changes to the Pipeline Safety Act. The proposed legislation would, among other things (1) mandate certain revisions to regulations relating to distribution integrity management programs (DIMP) and emergency response plans; (2) address PHMSA’s evaluation of state pipeline safety programs; (3) mandate pipeline safety management systems; (4) impose recordkeeping requirements for distribution operators; (5) require that professional engineers approve of certain pipeline safety tasks; (6) require upgrades to district regulator stations; and (7) increase the federal civil penalty limit from $200,000 to $20 million per day and from $2 million to $200 million for a related series of violations. Van Ness Feldman counsels clients on pipeline safety compliance, enforcement, and litigation under the Pipeline Safety Laws and Regulations and related statutes. If you are interested in additional information regarding pipeline safety matters or any PHMSA or pipeline related matter, please contact Susan Olenchuk at (202) 298-1896 or sam@vnf.com, Bryn Karaus at (202) 298-1821 or bsk@vnf.com, or any member of the firm’s Pipeline & LNG practice group.